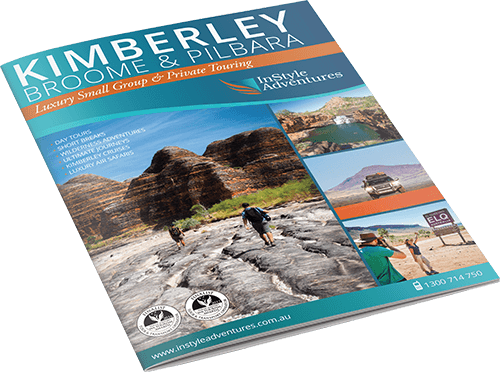 Our comprehensive journey takes us through stunning and remote National Parks, gives us an insight into the magnitude of the Pilbara mining industry and visits the most spectacular fringing reef in Australia. 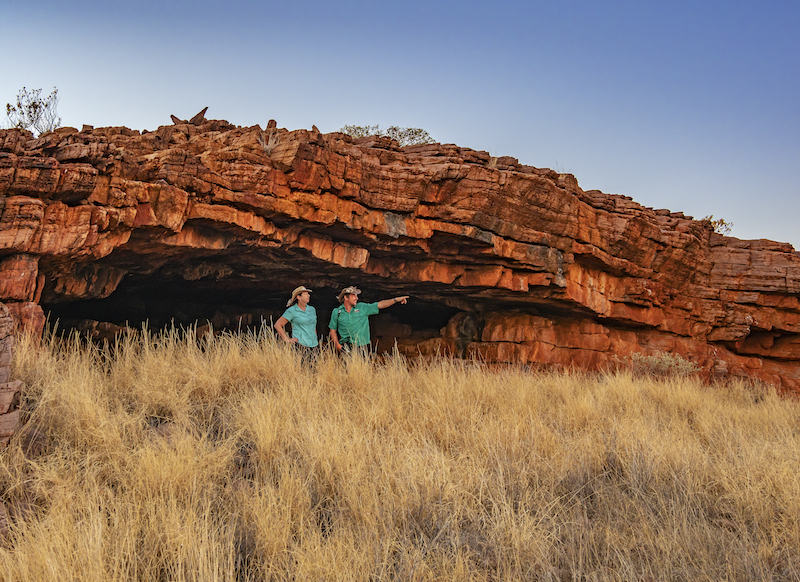 Head off the beaten track passing the worlds longest trains carrying iron ore for export, tour a massive open cut mine and discover 30 000 year old Aboriginal petroglyphs. 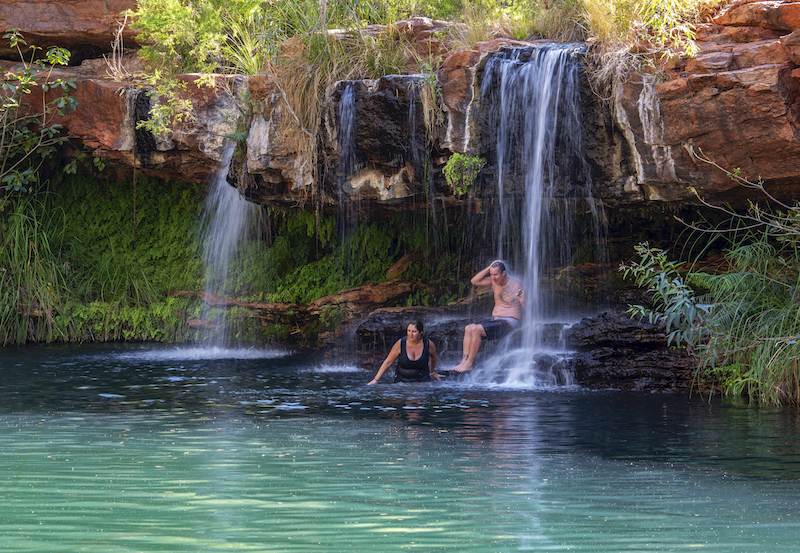 The environment is stunning at Millstream-Chichester National Park and unsurpassed at Karijini National Park with a full day to explore spectacular gorges, crystal clear waterfalls and leafy verdure contrasting delightfully with the arid red landscapes of the Pilbara. 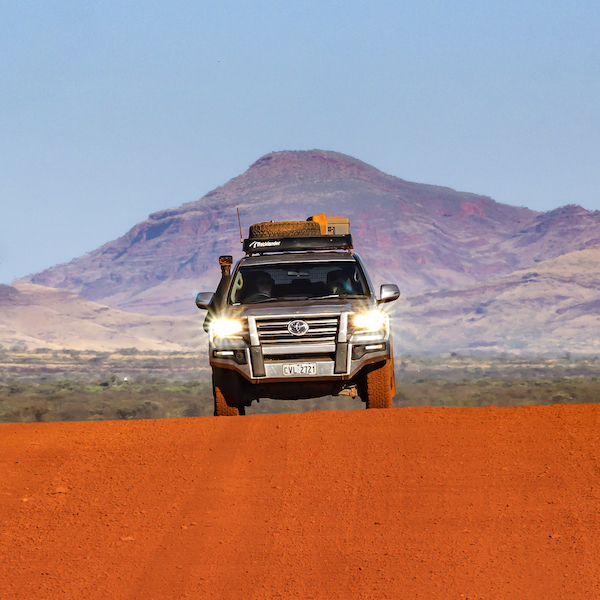 After a fascinating Pilbara Station Stay we re-join the coast where our adventure concludes at Exmouth or Coral Bay. Departing Broome after breakfast, we journey south, stopping at Eighty Mile Beach, a spectacular coastline that marks the end of the Great Sandy Desert. It is one of the most important sites for migratory shorebirds, or waders, in Australia, and is recognised as a wetland of international importance. We continue along the highway arriving at Port Hedland, with it’s natural deep anchorage harbour and proximity to the huge Pilbara iron ore mines resulting in it being the largest bulk export port in Australia. 7 Day Tour (7DPIL): This morning we join a Port Hedland Harbour Tour run by the Port Hedland Seafarers Centre whose primary mission is the welfare of seafarers (subject to availability). Afterwards we drive through to Karratha. 6 Day Tour (6DPIL): On arrival at Karratha airport this morning be picked up in our small luxury 4WD. We take the short drive to the spectacular Burup Peninsular where it’s a short walk to the ancient petroglyphs. 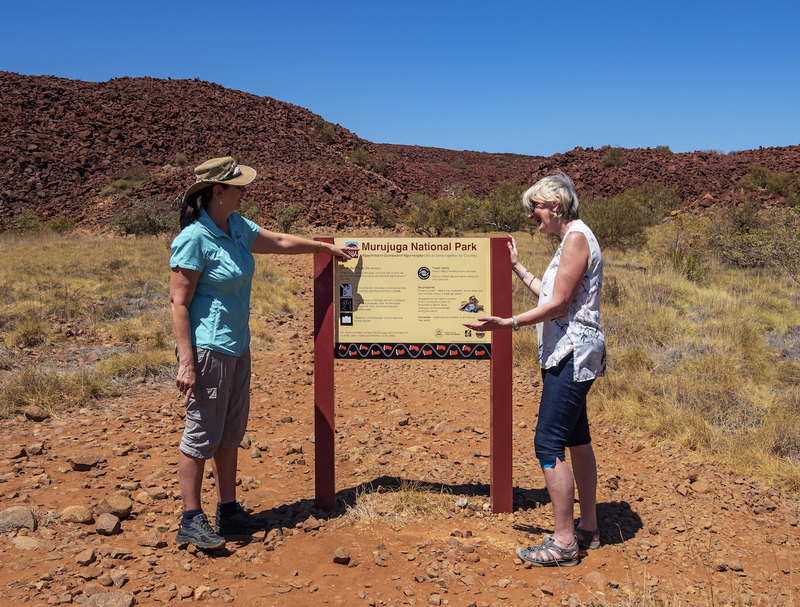 The peninsula and surrounding Dampier Archipelago have the highest concentration of rock art in the world. The carvings include depictions of human-like figures, human faces and animals that no longer inhabited the region, including the Tasmanian tiger. Archaeologists haven’t been able to date engravings directly, but have previously estimated some of them to be up to 30,000 years old based on the style of the art and weathering patterns. 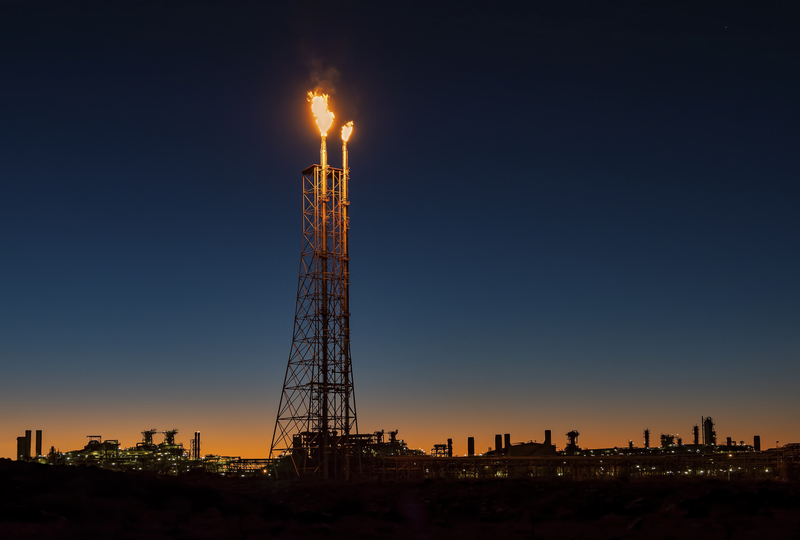 We explore the coast followed by a visit to the North West Shelf Visitor Centre which is an interactive display explaining one of the world’s largest liquefied natural gas (LNG) areas supplying oil and gas to Australian and international markets. We journey off the beaten track this morning as we visit the beautiful surrounds of Millstream-Chichester National Park. Covering an area of approximately 200,000 hectares around the Fortescue River – the heartland of the Yindjibarndi people – this lush oasis of deep gorges and palm-fringed rock pools provides a stark contrast to the surrounding landscape of rocky escarpments and rolling spinifex-covered hills. After a picnic lunch we join the privately owned railway road where we may pass some of the worlds longest trains carrying riches of iron ore, destined for export. Late afternoon brings us to mesmerising Hamersley Gorge, with its stark beauty and the rich colours of iron, contrasting with the aqua blue deep pools. We reach our comfortable wilderness retreat home for the next two nights in time for a spectacular sunset. Set off after breakfast and enjoy a full day to discover beautiful Karijini National Park. Here, spectacular gorges, crystal-clear waterfalls and leafy verdure contrast delightfully with the arid red landscapes of the Pilbara. Admire the rich red colours from Oxer and Junction Pool lookouts and visit the stunning Fortescue Falls, a rare year-round waterfall that tumbles 20 metres over red rock benches, where you will have the opportunity to enjoy a dip in the crystal clear waters of Fern Pool. Returning to our retreat you may chose to walk to nearby Joffre Falls and enjoy an evening stargazing. 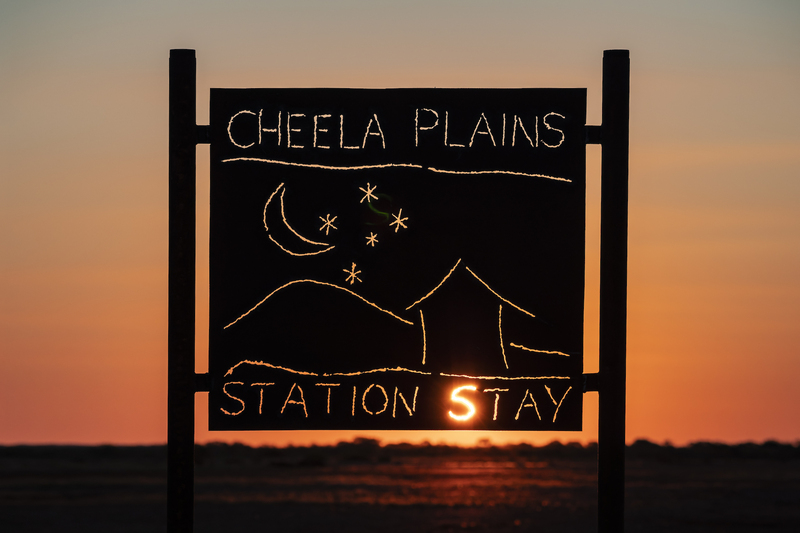 Our adventure continues as we explore Cheela Plains Station on a comprehensive full day 4WD Tag-a-long tour. With a winding tree-lined drive through Horseshoe Creek we discover the magnificent South Vivash and Beasley Gorges as well as learning about station life in this remote region. We enjoy billy tea and lunch on the property whilst hearing stories of the conservation and cattle management from the station hands. 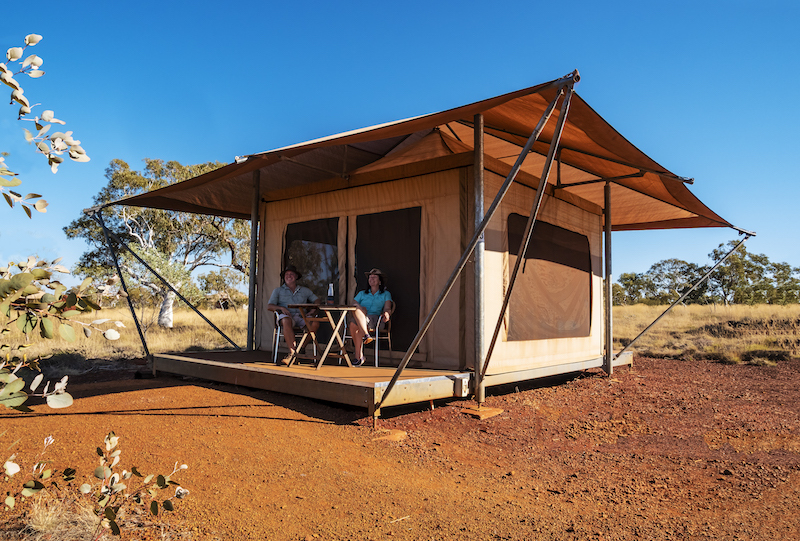 This afternoon we arrive at our prepared ‘Bush Camp’ where we will enjoy tented accommodation with comfortable bedding, shared bush shower and even a flushing loo! Tonight we chat around the campfire, enjoy home-style camp oven food, an informed star gazers look at the galaxy and sleep in the ‘million star hotel’. After a relaxed breakfast at our Bush Camp we reluctantly bid farewell. We arrive at the coastal town of Exmouth, located on the eastern side of WA’s North West Cape, in Australia’s Ningaloo Reef region where we arrive early afternoon. (Airport drop-off at Learmonth for hire car pick up is possible – ETA 2pm). Alternative drop off at Coral Bay is also available. Exmouth and the Coral Coast are an adventurer’s paradise and today you can enjoy a truly amazing range of adventure experiences. From April through July the majestic Whale shark frequents the reef and the once in a lifetime opportunity to swim with these gentle giants shouldn’t be missed. For the keen fisherman the coastal waters offer plenty of action and game fishing trips can be arranged. We can arrange an Ultimate Journey upgrade pre or post journey with an all inclusive stay at the luxurious Sal Salis Ningaloo Reef where the outback meets the reef. 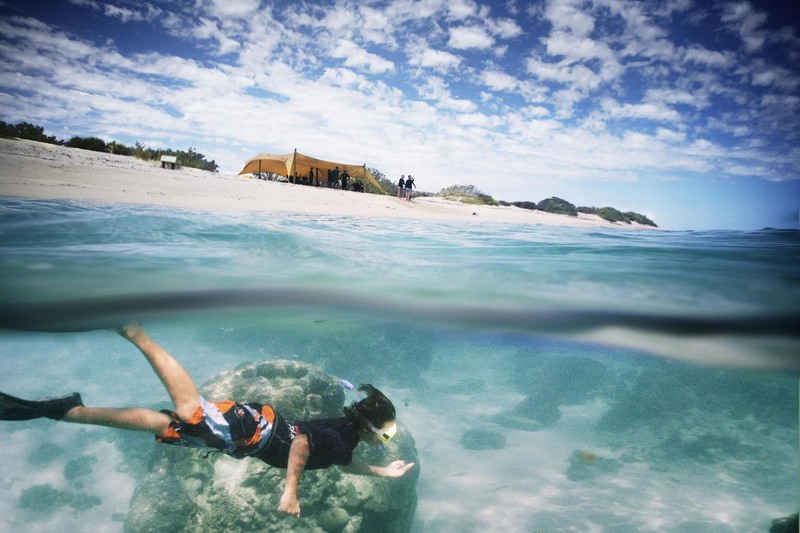 On a remote stretch of Western Australia’s Indian Ocean coast, discover hidden gems. 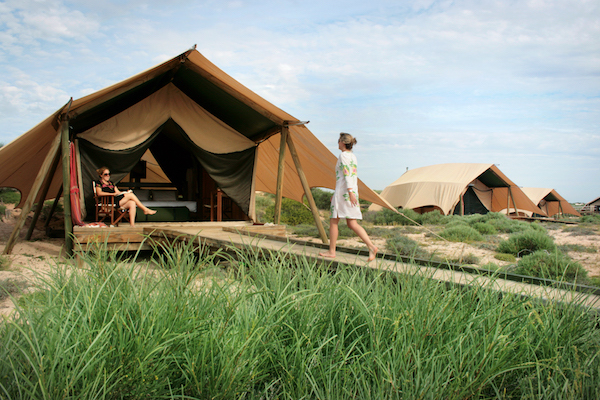 Sal Salis Ningaloo Reef is a beach-side safari camp nestled in the dunes of the Cape Range National Park. Each of the sixteen wilderness tents offers views of the surrounding bush & beach. Wake to the song of a butcher bird, the raucous squawks of a galah or the thump of a wallaroo passing by. At night fall asleep to the sound of the waves on the beach, exhausted by a full day of activity, fine food and camaraderie. At Sal Salis you will discover the magic of true eco-luxe camping. 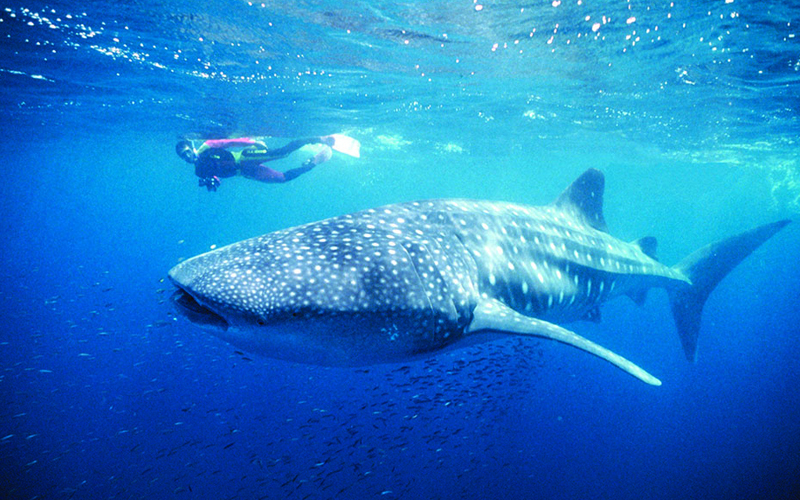 During the day explore Ningaloo Reef, home to over 500 species of colourful fish and 250 coral species. Just beyond the Reef swim with the mighty giants of the ocean – whale sharks, humpback whales, orcas, manta rays and dolphins. In the rugged landscapes of the Cape Range National Park our guides introduce you to Australia’s unique flora and fauna. Keep an eye out for red kangaroos, wallaroos, rock wallabies, goannas, echidnas and 100 bird species, many of which are the colours of jewels. 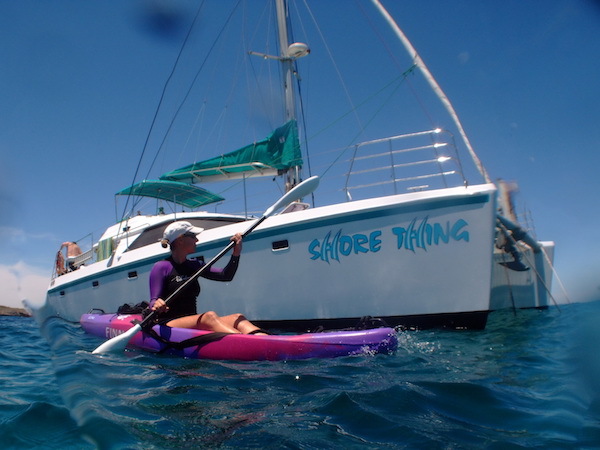 Join a journey south to some of the most beautiful underwater areas of Ningaloo Reef on board the luxury catamaran Shore Thing. On this 3 night Ningaloo Reef tour we’ll take you to the best places to snorkel and scuba dive, surrounding you with pristine corals and an abundance of marine life. Our destination is the beautiful Sandy Point and Pelican Point Sanctuary. A perfect place to explore the shallow reef lagoons either by kayak or by donning a mask, snorkel and fins – some of the best coral and reef fish you will see in the world. No other Ningaloo Reef tour accesses these areas, so they are pristine and uncrowded. Manta Rays are commonly found feeding in shallow waters close to Coral Bay and we are often presented with the opportunity to snorkel alongside these majestic marine animals. Enjoy walking along sparkling white beaches and viewing Turtles in their natural feeding grounds. Dugongs can also be seen on occasions grazing on seagrass beds and inquisitive dolphins can often be seen chasing fish throughout the clear water.